I HAVE beaten them all, President Lungu, his vice Inonge Wina and all his Cabinet, I have beaten them all, bragged Chishimba Kambwili following his party’s win in Roan Constituency. And Kambwili says what has started in Roan is a revolution that should see PF leave office. The National Democratic Congress candidate Joseph Chishala obtained 8665 votes followed by PF’s Joel Chibuye with 5533 votes. Backed by the UPND, the NDC led by its consultant Kambwili put up a spirited campaign against a PF and government machinery. The PF had ministers Professor Nkandu Luo, Bowman Lusambo, Richard Musukwa, Michael Katambo, Freedom Sikazwe, Japhen Mwakalombe, Jean Kapata; members of parliament MMD’s Howard Kunda (Muchinga), Sensio Daka (Kasenengwa), Chali Chilombo (Nchanga), Dr Jonas Chanda (Bwana Mkubwa), Maria Langa (Chilanga), Steve Chungu (Luanshya), Masauso Tembo (Sinda); the president’s political advisor Kaizar Zulu, a number of district commissioners, Vice-President Inonge Wina, President Edgar Lungu and some opposition leaders (Dan Pule, Wright Musoma, Robert Chanda and PF secretary general Davis Mwila, among others campaigning to retain the Roan seat it held through Kambwili. 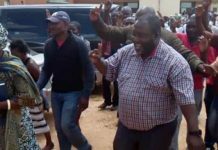 In an interview after his candidate was declared winner of the Roan seat, Kambwili said with the emphatic win, a revolution to see the PF off their saddle had begun. “People of Zambia, this is a revolution that has started, PF must go, enough is enough. They are not paying civil servants salaries, they are closing universities at will, they are not paying lectures, they are not paying council workers so what is there for us? And if a government cannot pay salaries it means it’s a broke government and if a government is broke, they must be kicked out. PF and Lungu must go and start dancing discos, we don’t want a President who is always dancing, we want a President who is going to look after people not Dununa reverse all the time like a small boy at a party,” Kambwili said. He said it was time for Zambians to unite to kick the ‘thieves’ out. Kambwili described the win as sweet. “It’s not about NDC, it’s not about the party but the country and to get the thieves out. It’s time for the people of Zambia to unite and have this rhetoric party out of power. 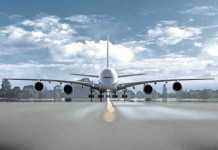 The win is very sweet, sweet on behalf of the people of Zambia,” Kambwili said. 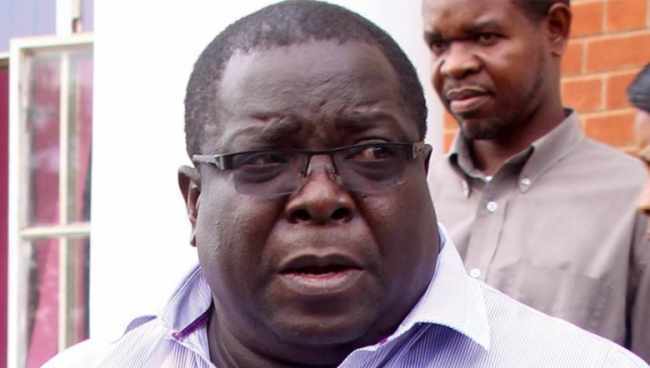 Before results were announced, Kambwili went to the totaling centre where he used a Bemba adage that says those doubted him would one day be shamed. The former Roan lawmaker, who was in the company of other NDC central committee members boastfully walked to the front of the main hall of the totaling centre and asked for the tallying chart. Kambwili said the triumph would not have been possible without the huge contribution of the UPND. 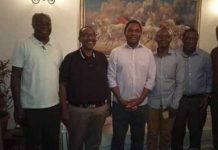 “First and foremost, let me appreciate the UPND that they played a very big role in this election. We worked together through and through. We had the UPND provincial team and the local structures here and I think by and large this win is for all us in the alliance,” Kambwili said. And in an interview, Chishala promised to live by his campaign promise that he would continue with his predecessor’s programmes in Roan. He admitted that he had a mammoth task but asked for the involvement of every stakeholder in the constituency Kambwili faithfully served for three terms. “I am going to continue with the projects that were being done by my predecessor; give me support in all situations and united we can manage and do it. Nothing is impossible if you are united,” said Chishala following his declaration as winner slightly after 01:45 hours. Meanwhile, MMD leader Nevers Mumba has congratulated the NDC and PF for their respective victories in Roan and Bahati parliamentary by-elections. According to a statement, the former ruling party sadly noted the continued acts of political violence and hooliganism particularly on the last day in Roan. “This cancer must be uprooted. We call on all well meaning leaders to frown upon this growing menace. Violence doesn’t pay. 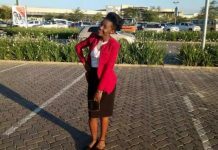 We equally demand that the police act decisively to bring the culprits to account,” according to the statement issued by spokesperson Cephas Mukuka. The MMD also noted the issue of the capacity of the Electoral commission of Zambia to manage elections. It urged the ECZ to come up with ways and means of ending voter apathy as well as violence before the 2021 elections. And Patriots for Economic Progress leader Sean Tembo congratulated NDC for scooping the Roan seat with a landslide. “We believe that this victory was a culmination of both the hard work of the NDC team as well as the general loss of confidence in the ruling PF and its government by the citizenry, due to their infinite incompetence, arrogance, gluttony and corruption,” Tembo stated. Tembo urged alliance member not to undermine the alliance as doing so would be to the benefit of the PF. He said it would be difficult for any alliance member to single-handedly defeat the PF in 2021. 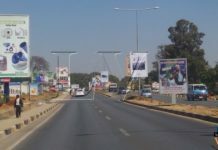 “Therefore, instead of members of any political party jostling for positions in an imaginary future government which might never materialise, at the expense of opposition unity, each opposition political party must focus on how best to create and strengthen ties and synergies with fellow opposition political parties in preparation for a more robust showdown against the PF in 2021,” he stated. 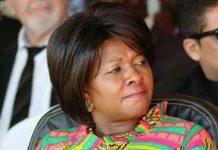 Tembo stated that the people were very expectant of the Opposition Alliance and it must not disappoint, whether advertently or inadvertently. “Zambians deserve better and we must not deprive them of the chance to have a competent, patriotic and accountable government in 2021 because of the fear to offend the sensibilities of some of our members in our respective political parties,” stated Tembo.